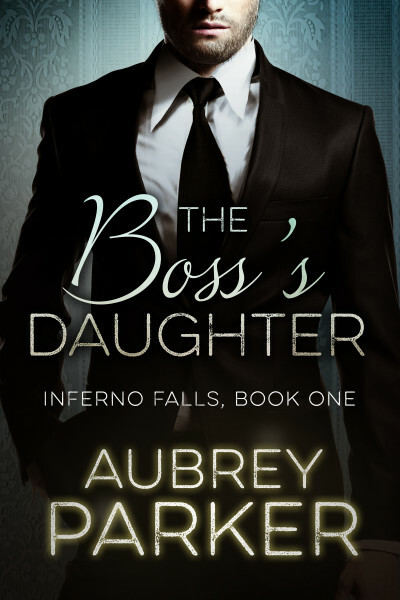 The first book in the Inferno Falls series, from your new favorite romance author. Ever since losing her mother as a girl, Riley James has lived for her father, Mason. The loss has nearly consumed them both, and they’ve only survived it together. But while Mason is moving into his twilight years, Riley is still young and ready for her life to begin. Her father’s shared grief — once the warm embrace she needed — now feels like a set of shackles that are starting to chafe. Brandon Grant is smack dab in the middle of his life’s best years. So far they’ve been devoted to the construction company where he’s dedicated the last several years. A product of the foster care system, Brandon comes from a dark enough past that he can never let anyone get too close — except his boss, Mason James, who steps into the void his father was never there to fill. After years of back breaking work, Brandon is finally about to land the promotion he’s always wanted. Soon, he’ll finally start living for himself, and find someone to share in the happiness he’s sure to earn … eventually. Just as Brandon is being groomed for the position, he meets the sweetest, most charming, and electrifying girl he’s ever seen — and realizes, with the crushing, sinking knowledge that she’s Riley James, the boss’s daughter. While Riley might be ready to move on, her father can’t, and he makes it abundantly clear that Brandon’s not to go near her. As he spends more and more time in the office, preparing to become the company’s big man, he clocks more time with Riley. Soon, their spark ignites to inferno. Riley and Brandon must decide if their happiness still means what they’ve always thought, or if they’ve finally found the person who can turn their lives into something more. Dive heart-first into Inferno Falls’ romantic firestorm with the first novel in this thrilling new series. Download The Boss’s Daughter NOW!